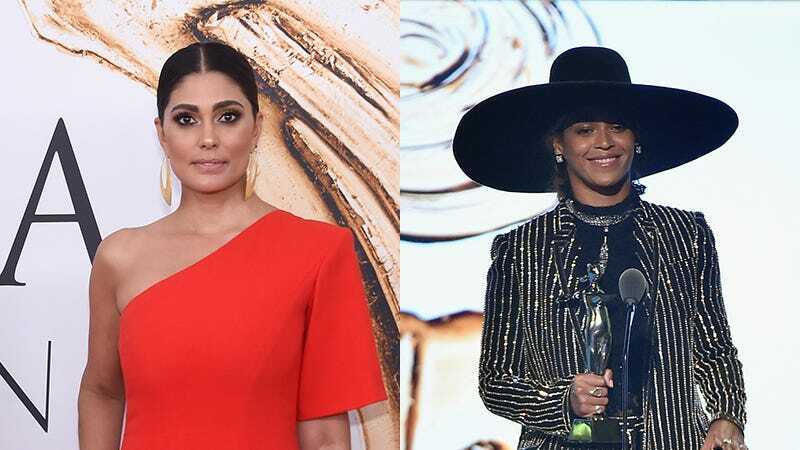 The woman rumored to have inspired “Becky With the Good Hair” from Lemonade, Rachel Roy, reportedly “grabbed her place card” and ran the hell out of the CFDA Awards earlier this week after discovering Beyoncé Knowles was on her way in. Page Six reports that soon after Rachel With the Red Dress showed up and took her seat, rumors began spreading that “Beyoncé might attend.” Once Jay, Blue, and Miss Tina arrived, it was clear that she would. A friend of Roy’s told Page Six that Roy “exited the awards only because she had to catch an early flight the next day to be with her kids in LA.” Excuse me while I pour more ice into my glass of lemonade and stir for a few minutes. I understand that the relationship between Adam “Calvin Harris” Wiles and Taylor Swift—from its origin, to their day-to-day behavior, to the mysteries behind its end—is probably the kind of tightly controlled and contract-filled A-list romance that’s impossible for me to comprehend...but I still like reading the endless supply of rumors surrounding it. Taylor Swift’s recent breakup with DJ/producer Calvin Harris was definitely one-sided, a source close to Swift tells ET. The source believes 100 percent Harris was behind the split and that it was not mutual. “A few weeks ago she was talking about marrying him,” the source says. So...did Wiles end it because she dared to bring up marriage? It’s as good of an explanation as any, though certainly not my favorite one. Here’s Yolanda Hadid’s book cover! Said my coworker Joanna, “Believe Me is such a sad title for a book about Lyme Disease.” I agree!